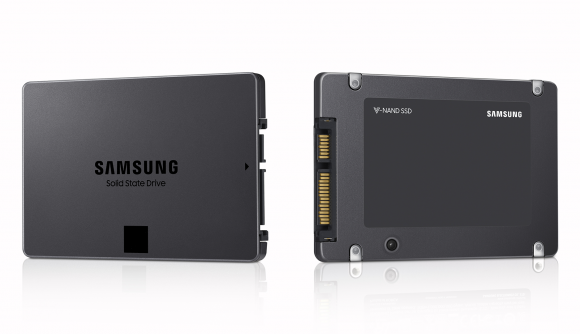 Samsung has announced it has put production of its first consumer QLC SSD into overdrive. 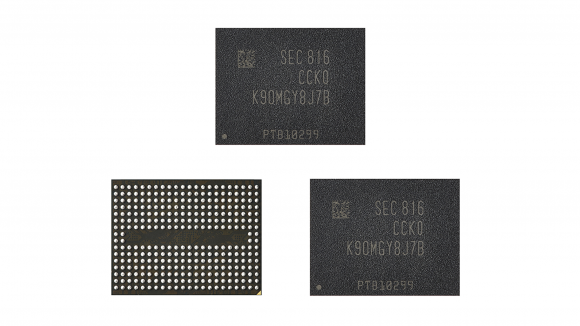 Making use of the latest 4-bit cell to pack even more data into a tiny footprint, the Samsung SATA drive will feature a 4TB capacity and reach speeds of up to 540MB/s read and 520MB/s write. Not long after WD and Toshiba announced their own QLC drives tech will be ready to ship within consumer-facing SanDisk products by the end of the year, Samsung has similarly made its own announcement regarding its dense drives going into mass production. Samsung claims its drive will be the “industry’s first 4-bit consumer SSD,” but we’ll have to see about that. Though Samsung has high hopes for this new 4TB SSD. Through the use of a 3-bit controller and Samsung’s own TurboWrite technology – which drastically increases sequential write speeds using algorithmic magic – the company puts its latest consumer venture as quick as other fourth-gen TLC SSDs it produces. It is all based upon the same 64-layer 1Tb fourth generation V-NAND, after all. There are also plans to produce QLC drives in 1TB and 2TB capacities and NVMe drives down the line, with fifth generation QLC V-NAND following on shortly after. Which all sounds rather nice, so long as Samsung can keep the prices of its new 4-bit tech to a minimum. QLC tech, by its very nature, holds a lot of promise for making SSDs more affordable than ever. The tech may not be as enduring as other cell approaches, but it sure can pack a lot of data into one tiny chip. Samsung has included a three-year warranty with the QLC drive anyways. Evidently the company is confident in its 4-bit V-NAND’s reliability. Samsung’s current 4TB SATA drive, the 860 Evo, costs upwards of $1,000. And the 1TB version will cost you about $220. If competitively priced, which Samsung is in a better position than most to do due to its ability to produce its own memory and memory controllers, then QLC could usher in an era where bulk storage HDDs are a thing of the past – even for midrange rigs. But as this first wave of drives start to show up, their price tags will be exceptionally telling to just how much dough you’ll have to drop on one of these high-capacity drives going forward and whether they will have all that much impact on gaming PC builds. At least there’s plenty of competition in the QLC space, so hopefully we’ll be pleasantly surprised by the price.